Chagas disease is a systemic chronic parasitic infection by Trypanosoma cruzi endemic in Latin America. Migration of women of childbearing age from Latin America to developed countries may spread the disease to non-endemic areas through vertical transmission. 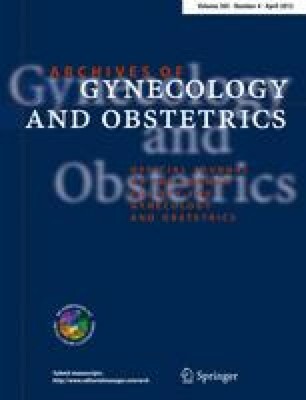 Prospective study of seroprevalence of T. cruzi infection in immigrant Latin American pregnant women during a 5-year period (from 2006 to 2010) in Spain. Seven out of 545 participants were seropositive for T. cruzi [prevalence 1.28%, 95% confidence interval (CI) 0.06–2.56]. Four (57%) were from Bolivia and three (43.%) from Paraguay. The seroprevalence in pregnant women from Bolivia was 10.26% (95% CI 4.06–23.58) and in participants from Paraguay was 6.52% (95% CI 2.24–17.5). No congenital transmission occurred. Seroprevalence of T. cruzi infection in Latin American pregnant women coming from Bolivia and Paraguay is high. Those women should be screened for T. cruzi to control mother-to-child transmission in non-endemic areas. To Professor Montserrat Portús (Laboratory of Parasitology, Faculty of Farmacy, Universitat de Barcelona) for the critical reading of the manuscript and her continuous feedback. This study was supported by the Fundación para la investigacion Hospital General Universitario de Elche (FIBELX08/08). The funders had no role in the study design, data collection and analysis, preparation of the manuscript or decision to submit the manuscript for publication.